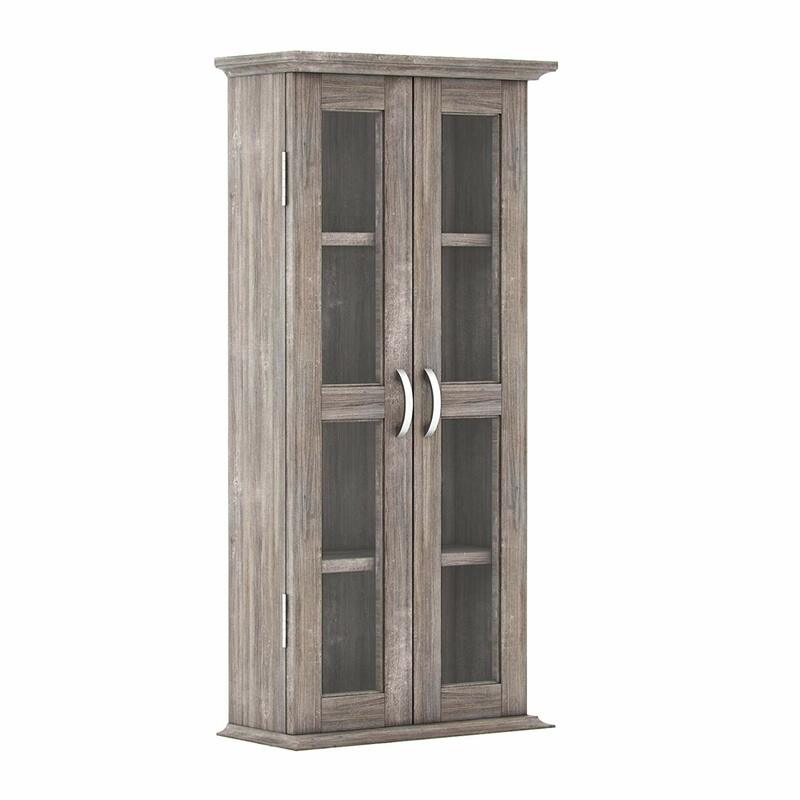 BEAUTIFUL FINISH: With clean and simple lines of this modern wood DVD, CD, Video games such as Xbox games, Playstation games (PS2, PS3, PS4), other multimedia storage, gaming console and accessory storage, entertainment units, and/or use this cabinet as a bookcase for all your favorite books. 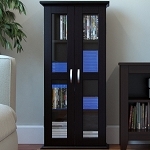 This storage cabinet brings great way to upgrade a traditional space and make it fresh and modern. 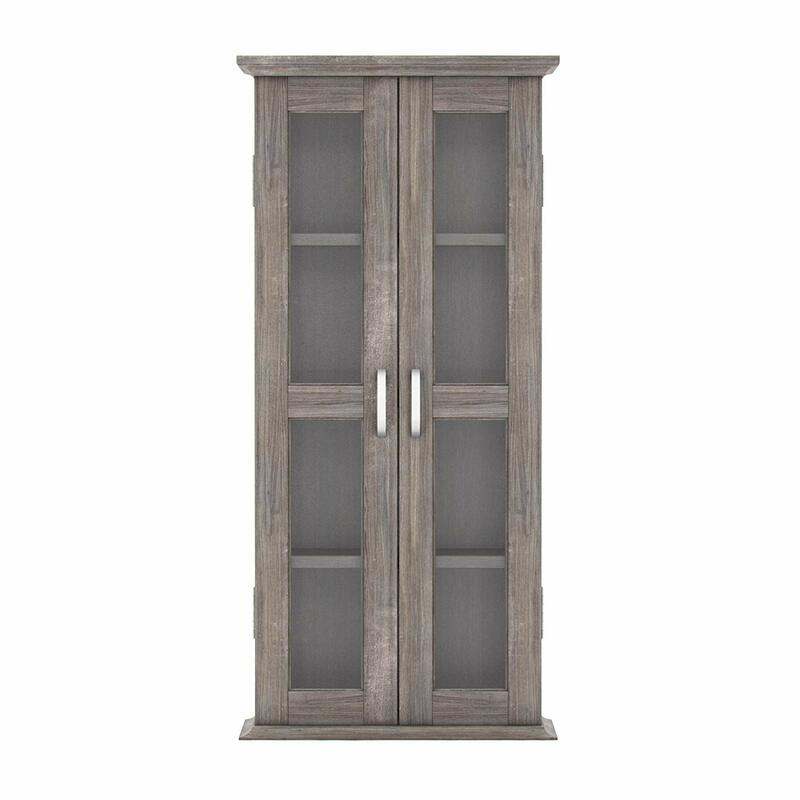 The elegant appearance matches your surroundings, furniture, and style seamlessly, and it will take your living room to a higher level. 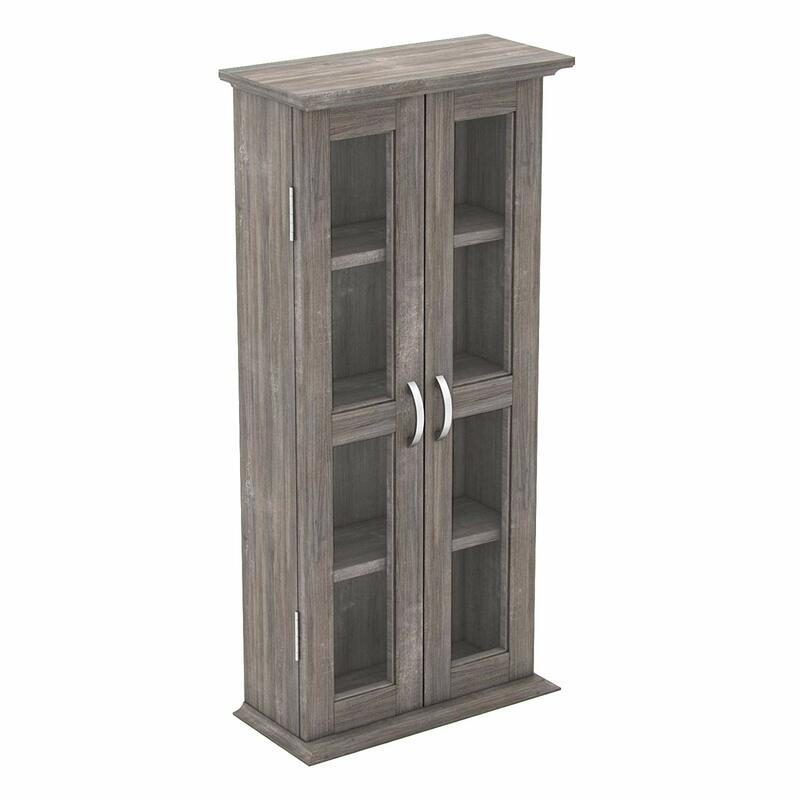 MULTIFUNCTIONAL DESIGN: This media bookcase storage cabinet stand is perfect for any style home from Contemporary, Cottage, Country, Rustic, English, French, French Country, Modern, to Mission. 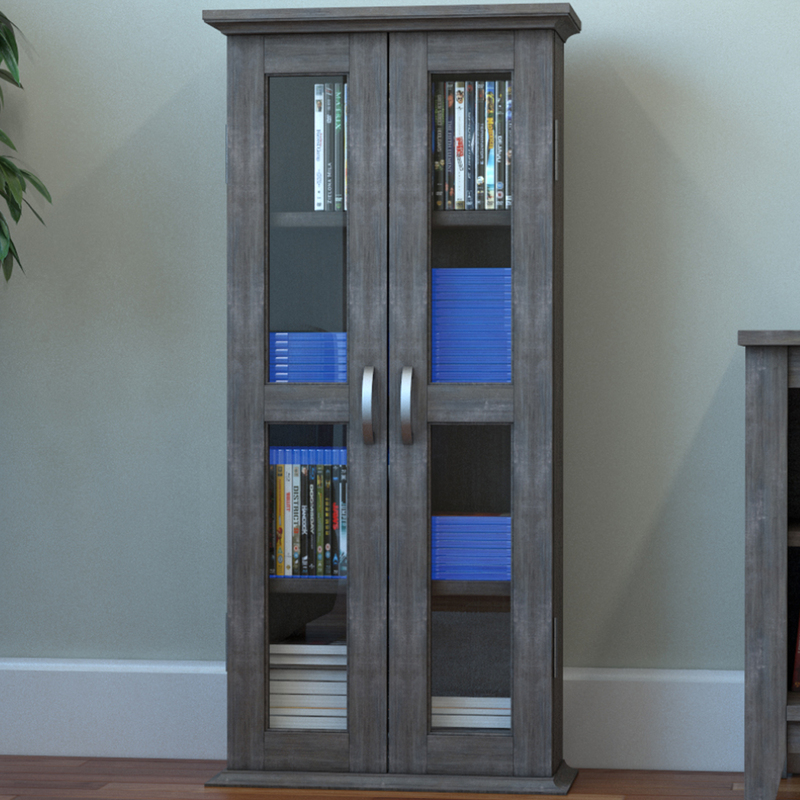 The shelves allow you to storage the books, magazines, CDs, remote controls, DVD players, gaming consoles, audio receivers, home theater system, and any other media or gaming devices. 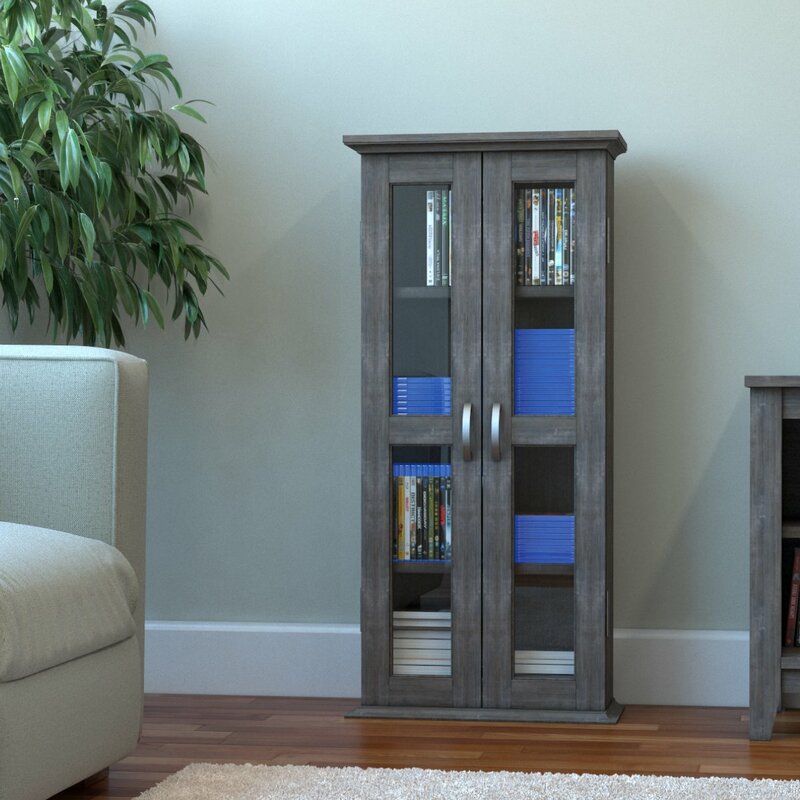 UNIQUE CONSTRUCTION: The stylish contemporary design of four adjustable large open shelves, flat bottom floor and top details blend perfectly to create a rich harmonious look. 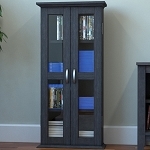 Designed with with two glass doors for a sleek contemporary look. Unlike most AV bookcase media storage cabinets, this minimalist modern design will ensure your books and media storage are perfectly organized in a beautiful cabinet.